A new initiative launched by V2P Communications, a San Diego company, named NetAudioAds is taking clearly wrong PR approach by spamming web site owners and administrators around Web with unsolicited emails and trying to convince them to join their network. A small army of third party brokers or affiliate workers are sending mass mailing around Web from third party web sites with domain names not associated with or having nothing in common with the main company, and trying to get new web publishers signed up for the service. I have no idea who is planning the PR campaign of NetAudioAds but this is totally wrong road to take. Their web sites looks and feels somehow like from the nineties with low quality images and poor design and on top of this the site uses boostful marketing language style like those get-rich-quick scheme scammers that we are all fed up with. Their official site that does rank for their official name does not even use NetAudioAds in the page title and is extremely hard to find on Web, which additionally leaves the potential web publishers with the feeling of something fishy. But this is not the worst. Apparently the marketing people at NetAudioAds came up with the genial idea to hire people from all over Web who are using third party web sites to proclaim their services by sending pure spam messages to, probably, sites that they believe are trafficked enough trying to enroll them for the service. When you decide to follow up on these emails you are given with no official site to read more who these people are after all, but you are provided with a funny brand new web site with strange name put up overnight with a page for you to sign your company up with. To make things even worse those third party people try everything possible to cover up the original site so that you get your site signed up with their, obviously, affiliate site that is being registered just 2 days before the email hit your inbox. Wrong strategy, poor public communications and I see no way for V2P Communications, the company behind NetAudioAds, getting any positive results out of this PR mess. The service itself is said to launch somewhere during February 2008 and the PR and marketing mess seems to be total. San Diego-based V2P Communications is planning to offer five-to-eight-second audio ads, called NetAudioAds that will automatically play when a visitor lands on a blog or Web site. The claim is: Using V2P Communications’ coming audio ads, which will pay blog publishers a 25% commission on ad revenue, a site that gets 2,000 unique visitors a day with an advertiser paying $14 per 1,000 plays would earn $7 a day, or $49 a week. Blog publishers get a 25% cut of the ad revenue. About 25,000 publishers have signed up so far, says Michael Knox, V2P’s co-founder, and several large companies and 2008 presidential campaigns have expressed interest in becoming advertisers through the service. To make things look even worse, different affiliate sites around Web are claiming from completely out of sense and logic numbers of the web publishers already enrolled to the service to the ridiculous claims that their company will deliver better results than Google AdSense. For example, and for those of you that do not know yet, Google has paid over $3.5B to web publishers just in the first three quarters of 2007 alone. Aside, there seems to be little to no coordination in the claims of the different web sites that try to proclaim the NetAudioAds on Web. What self respecting web publisher takes only 25% of ad revenue to annoy all of their visitors and readers with audio ads? And how do you keep up your momentum and page views if you annoy everyone who comes across your site? V2P Communications is a Nevada C-Corporation that was established in 2005. V2P Communications Inc. is an Internet web-based company that was constructed to capture opportunities arising from new Internet technology, emerging online markets and ever-changing trends of Internet users. V2P Communications Inc. has two main Internet audio websites; Voice2Page.com and NetAudioAds.com. The Voice2Page website’s primary purpose is to distribute and sell Record-by-Phone Internet audio monthly subscription services, while the NetAudioAds site places Internet Audio Advertising strategically across the Internet. We are an Internet-based communications company. 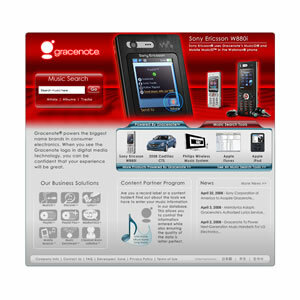 The Company’s primary focus is introducing innovative Internet Audio Services to the general public. How does a network that offer advertising and marketing solutions for others do such a bad job marketing their own products? I do not want to sound negative but this is not going to work things out for V2P Communications and unless they change their entire PR strategy the chances for them to get buzz quickly is higher but with very negative sign. Impersonated.com urges visitors to upload their singing videos for the chance to win fabulous prizes & Be World Famous!! The site is officially in BETA launch and in just few weeks the site claims they had over 8,000 videos played on the site. Impersonated.com launches exciting new talent show site which allows users to upload videos of themselves singing their favorite songs for a unique opportunity to make friends, have fun and even to earn massive fame and fortune in the process. The premise of impersonated.com’s offer is simple: Submit a webcam or camcorder recorded video of yourself singing along to your favorite song in an attempt to impersonate the original artist, and other members will be allowed to vote on the video submissions. There is no limit to how many videos you can upload, and video submissions are completely free no matter how many times you participate. “Join for free, upload your video for free, and tell all your friends about it so they can vote for your video. There is nothing more to it. If you want to have fun, get famous and win fabulous prizes, you need to start singing and get your videos uploaded.” Says Jessica Ford, the Maestro of Impersonated. According to Ford, the more votes your video receives, the more likely you are to win one of hundreds of fantastic prizes, including $10,000 in cash, an iPod touch, a Sony Camcorder, Celebrity Autographed goodies and many other astounding items. Winning fabulous prizes has never been easier or more fun! Impersonated.com is clearly one of the most exciting ways on the web today to have fun, make music and possibly even to obtain the fame and fortune that average people could never usually get a chance for. Impersonated.com aspires to bring out the best in everyone. Created to be a vibrant, exciting & fun way to showcase their talent, impersonated.com claims to be bigger than Pop Idol, American Idol & The X-Factor TV shows for thousands of hopefuls the World over. Impersonated.com has all the fun with none of the ‘Simon Cowell’ nastiness! The next Platinum Awards Ceremony will be held in the beautiful and exciting city of Amsterdam, The Netherlands. The sector is very crowded and some of the direct rivals are Bix, which was acquired by Yahoo! anyway, SingShot, also acquired but by Electronic Arts, FameCast and mainly Yahoo! Talent Show, among others. The original story has been picked up from EPR Network. Online gossip site Dotspotter has been acquired by CBS for $10 million. In Digg style Dotspotter lets users offer up celebrity news, video clips, images, articles and sightings for your leisurely enjoyment. You can vote up the ones you like and vote down the ones you hate. After acquiring Last.fm for $280M CBS president Leslie Moonves laid out an online marketing strategy, which most likely includes the current acquisition. As Valleywag pointed out Dotspotter’s short one-year lifespan didn’t scare off serial charmer Quincy Smith, the startup-mad head of CBS Interactive. Earlier CBS has also bought the financial video blog Wallstrip. Sources also claim that one of Dotspotter’s beneficiaries is Facebook CFO Gideon Yu. According to Quantcast the site is getting less than 600,000 American unique visitors per month. Compete is reporting for pretty much the same number of visitors. At the time the deal was announced (Oct 2006) the site had only 280,000 users a month according to Compete. This compared to the 3.6 million for TMZ and 1.5 million for PerezHilton, perhaps the most popular entertainment blog. The company is founded by Anthony Soohoo, who is a former Yahoo exec. It would appear that Anthony Soohoo made the right choice by leaving Yahoo back in March 2006. The price seems pretty high for a sector which is crowded with more high profile celebrity blogs/sites like TMZ.com, PerezHilton, and others as well as the fact that the site has only been launched mid-January last year. Online sources close to the situation tell the price is not for the site itself, but the team that has built it. Structured this way the deal may also include a heavy earn-out component. CBS has launched celebrity news before like the site Showbuzz in June 2006, but things did not go any further. CBS also produces two celebrity tabloid shows The Insider and ET. At the end of the day it appears as a nice exit for the investors since the site is said to have only raised seed money from angels and the amount is rumored to be less than $1M. Gideon Yu is one of the investors, along with couple of other angels. Dotspotter is a new way to explore and enjoy pop culture. We’re the community that lets users discover, share and talk about the people, places and ideas that are defining what’s hot and happening. People use Dotspotter to find the latest scoops, gab with their friends, share celebrity sightings and cast their votes on the pop culture topics that they care about. People join for many different reasons. Whether you want to try your skills at breaking celebrity gossip (you know, bring out your inner paparazzi!) or you just want to have fun socializing with others, Dotspotter members can do it all. And the best part is that joining Dotspotter is absolutely FREE. All that’s needed to join Dotspotter is a valid email address. Once you register, join the topics that interest you and connect with people like you who have a passion for all things pop culture! Dotspotter is made up of many different and interesting people with a common interest centered on pop culture entertainment. Join in the discussions, participate in the community and make new friends. As the online extension of America’s most-watched network, CBS Interactive enhances the viewer experience with best-of-breed content from some of the biggest brands in television across multiple platforms. CBS has partnered with a collection of leading next-generation companies to create the CBS Audience Network, the web’s first and largest professional video content network, delivering reach and targeting capabilities to our advertisers. The result… the best lineup of full-length and short-form clips from CBS, CSTV and Showtime are now available to over 140 million uniques per month reaching 89% of the Web. Some of the online brands include: CBSSports.com, NCAASports.com, CBSNews.com, TheShowbuzz.com, Wallstrip, CBS.com, STARTREK.COM, Last.fm, CBS Audience Network, CBS Games and CBS Mobile. Oddly but Dotspotter does not appear as a stand alone online destination/brand. In what is believed to be a big leap for the relatively small social networking site called Imeem they announced today a licensing agreement allowing its users to listen free to the music of Vivendi SA’s Universal Music Group. Universal Music, the world’s largest record company, has opened a new chapter in the industry’s experiment with advertising-supported music by backing Imeem. Imeem now boasts deals with all four major record companies, including Sony BMG Music Entertainment, Warner Music Group and EMI Group, all of which have already inked deals with the social network. It’s a sharp turnaround from earlier this year, when none of the majors were willing to sign on to imeem’s new ad-supported interactive service. In fact, Warner sued Imeem, arguing that by allowing its members to upload and share MP3s of Warner music, it was infringing on its copyrights. After months of negotiations, the companies have concluded a deal in which Imeem will have full access to Universal’s catalogue, making it the first social networking site to reach licensing agreements with each of the four big record labels. Imeem has received attention from music executives because it has quickly built an audience of 19 million monthly visitors, up from the 16 million they reported in May 2007. Despite these claims and the deal itself, Imeem’s traffic seems to have fallen off since earlier this year, from a peak of 5 million visitors in April to 2.37 million in November according to Compete.com. Quantcast is showing even worse numbers – only 2.4 Million American visitors. The traffic curve there is permanently falling down over the past 6 months. As part of the deal, Universal is said to have received an upfront payment worth more than $20 million, as well as an equity stake in Imeem. 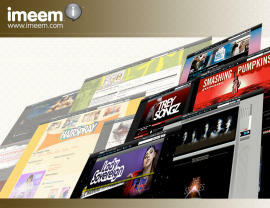 Universal will also receive a small payment each time one of its songs is streamed on the site of Imeem. A person familiar with the discussions said that the pay out Universal is about to receive is an equivalent to a fraction of a cent in addition to receiving a share of advertising revenue associated with a given song, that is, ads running near where a song is accessed. Most licensing deals with services that combine free music with advertising tend to offer labels only a share of revenue. Imeem isn’t the first ad-supported music service to gain the support of all four major labels. Universal, Sony BMG, Warner and EMI have also been making their music available to ad-supported music downloading service Ruckus. Ruckus had an early advantage over other services in securing the majors’ cooperation because it targeted colleges and universities, where illegal music downloading is a particularly serious problem and is basically not possible. According to eMarketer, spending on advertising on social networks will rise from $900 million this year to more than $2.5 billion in 2011.